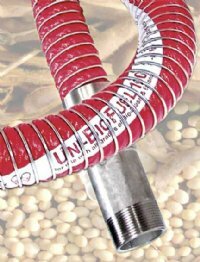 Composite Bio-Fuel Hose. Handles all grades of Bio-Diesel. © Copyright 2019, Novaflex. All rights reserved. Dog Tube, Fabriflex, Flexmaster, Novavent, Insul-Vent, Insul-Liner, Novaflex US, The Novaflex Group, Polar Railflex, Triple Lock, U-Lok, Z-Flex, Uni-Chem, Z-Vent, ZQuote, Platinum Flow, Z-MAX, Z-DENS, Z-CENTRIC, Z-LOK, Dry-Release are ® Registered Trademarks of Flexmaster Canada Limited, Z-Flex (US) Inc and Novaflex Hose.